Farrar, Straus and Giroux, 9780374524524, 384pp. This widely praised version of Dante's masterpiece, which won the Los Angeles Times Book Prize and the Harold Morton Landon Translation Award of the Academy of American Poets, is more idiomatic and approachable than its many predecessors. Former U.S. Poet Laureate Pinsky employs slant rhyme and near rhyme to preserve Dante's terza rima form without distorting the flow of English idiom. The result is a clear and vigorous translation that is also unique, student-friendly, and faithful to the original: "A brilliant success," as Bernard Knox wrote in The New York Review of Books. Dante Alighieri, or simply Dante (1265 – 1321), was an Italian poet from Florence. His central work, the Divina Commedia (originally called "Commedia" and later called "Divina" (divine) by Boccaccio hence "Divina Commedia"), is considered the greatest literary work composed in the Italian language and a masterpiece of world literature. 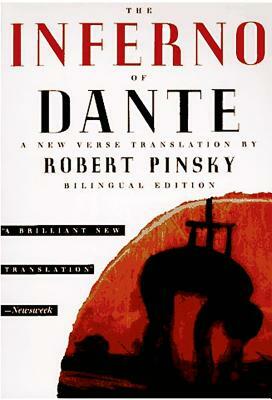 Michael Mazur illustrated The Inferno of Dante from Farrar, Straus and Giroux.